Its happening now actually, I've already seen a few. Haven't had time to setup my camera for pictures but if you live in North America go and take a look outside. Should peak Sunday though. The most meteors can be seen early Sunday morning between 2 and 5 am and in some areas 60-100 meteors per hour are expected. DoctorOfSpace, what is light pollution like where you are? Where I live it tends to wash out most showers even in the winter. This summer has been particularly poor for skywatching and I'm dubious about my chances for seeing much of anything. I'll go check it out now. I live in a city but the light pollution actually isn't that bad. I live in a city but the light pollution actually isn't that bad. In my area you can see most of the major constellations, especially in a dark backyard but if I go into the highly illuminated areas then only the local planets are visible and depending on light intensity some of the closer or brighter stars. 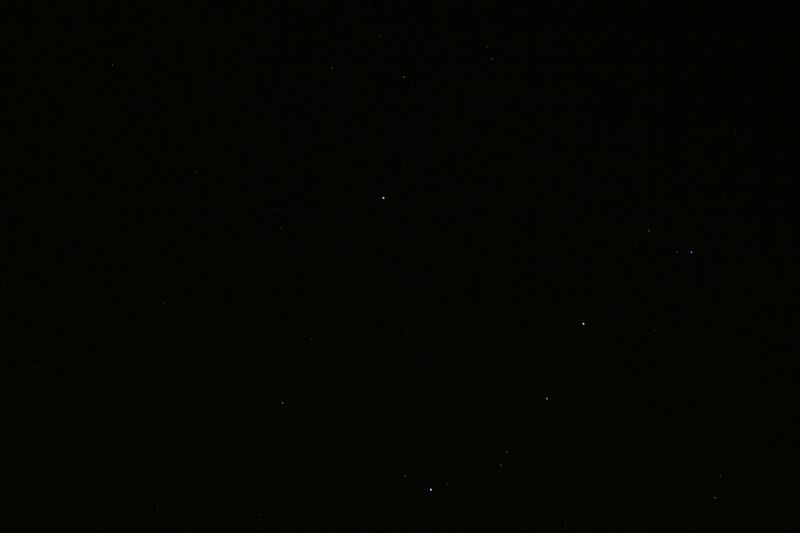 Also I didn't see any Perseid's, might be too south though. Technically it started in July and will increase to a higher number this weekend. You won't see many right now but if you stay outside for a little while you may see 1 or 2 every 45 minutes to an hour. Without a telescope its pretty difficult to get images of them without leaving my camera on a minute long exposure and repeating this in the same section of the sky. Yep, I can see maybe 30+ (40+ on a good night) stars if I look hard enough in my back yard with the naked eye. How you can say that that "isn't that bad" is beyond me. I consider being able to see only 3 dozen stars atrocious. You should try winters here. Summer is terrible but nights are tolerable, low bugs in the cities. In the outskirts of the cities where the bugs are in spring and summer is amazing in winter when there are no bugs. You get really warm nights with nice cool breeze, very dark skies, and loads of visible stars. Anything over 20 seconds and the sky starts to become very opaque, under 15 seconds and only the brightest stars show up. What aperture and ISO settings are you using? Oh I don't know. I'm pleased with that knowing how close to the city I am. You can get to places where only 1 star is visible, or venus/jupiter. That sounds bad, we rarely ever have clouds down here but it's very hot. What is best temperature for astronomy seeing conditions? Put my ISO way down to 100 because I usually shoot nature photography during daytime. 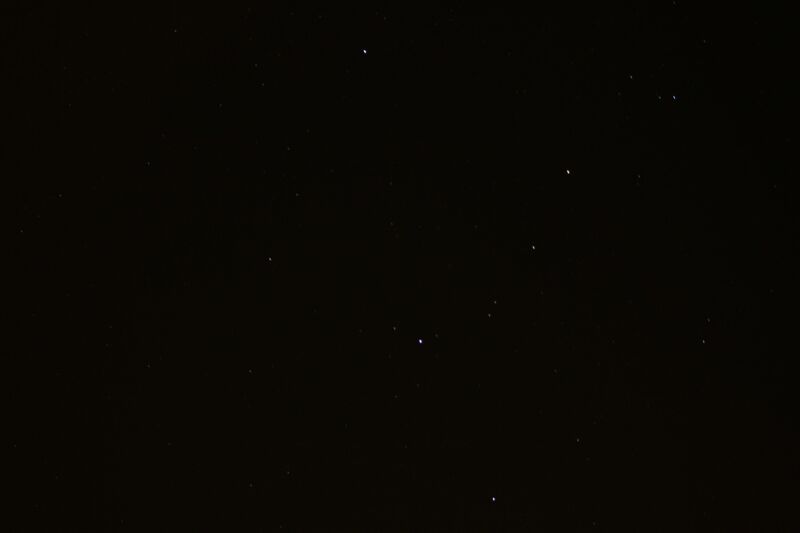 In the 20 second image I had it set to 100 ISO and F/4 or 5.6 not entirely sure. I prefer using lower ISOs, I find i get over all better looking images and far less hot pixels. Yeah, in like... downtown Manhattan. But usually near a major city you can expect between 1 and 3 dozen stars (based on my experiences in a city adjacent to Atlanta; ~10 stars were visible in summer, ~30 in winter). What city in Texas are you near? I used to frequent Texas a long time ago so I'm just curious. What is best temperature for astronomy seeing conditions? Preferably above any thermal inversion layers and other atmospheric phenomena as well. This is what makes Cerro Paranal in Chile such a prime spot for ESO. What city in Texas are you near? I used to frequent Texas a long time ago so I'm just curious. And yeah I think it's mostly the heat over here now. Even at night it's in the high 90's, when I first got my telescope it was very cold at night and there might have been a lot more stars visible but I don't remember.